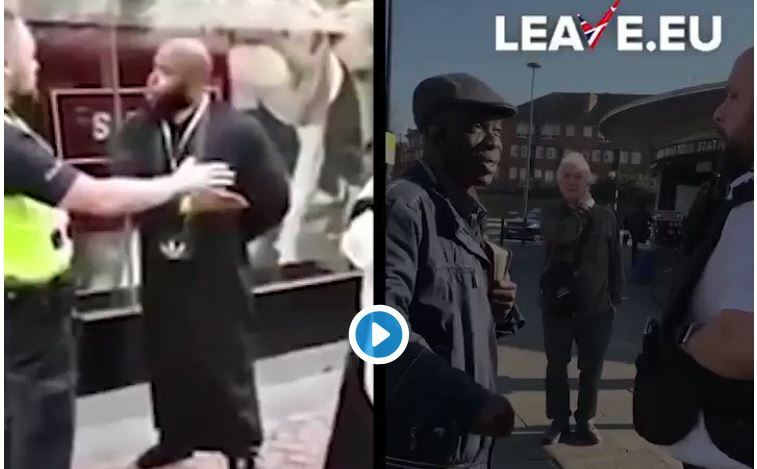 UK: Abusive Islamonazi propagandist gets kid-glove treatment while meek Christian evangelist gets nicked……. – The Tundra Tabloids……. The comparison here tells a sad story for our country. Previous Post Previous Post Delingpole: Has Tommy Robinson Exposed the BBC’s Dangerous, Far-Left Bias? Next Post Next Post Finland: Leftist cartoonist’s poster character Muhammed Al-Zomal or ‘Mämmilän Mukku’ for upcoming cartoon festival censored by race detectives…….